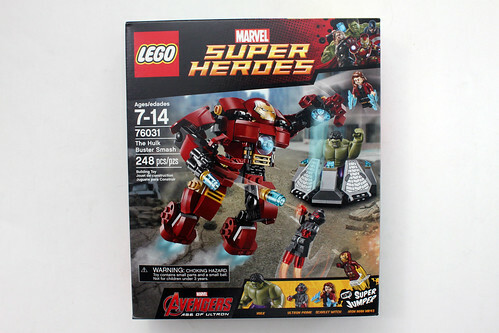 For our next review of the LEGO Marvel Super Heroes Avengers: Age of Ultron sets, we have The Hulk Buster Smash (76031) . 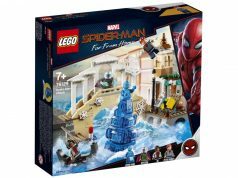 This set was available on Amazon a few days ago but has since been taken down. 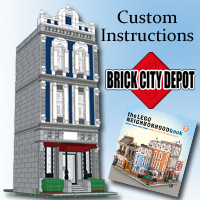 It contains 248 pieces and retails for $29.99 which is about a $0.12/piece ratio. 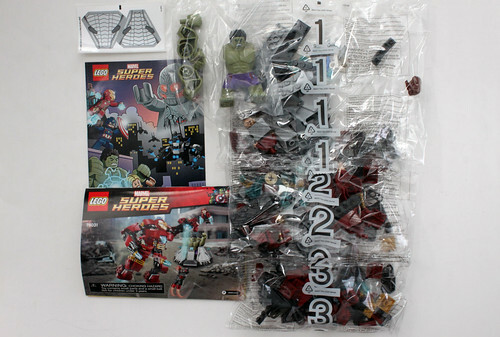 The contents of the box includes three numbered bags, a bagged Hulk figure, one instruction booklet, a small sticker sheet, and the same comic we’ve been getting in this wave of AOU sets. 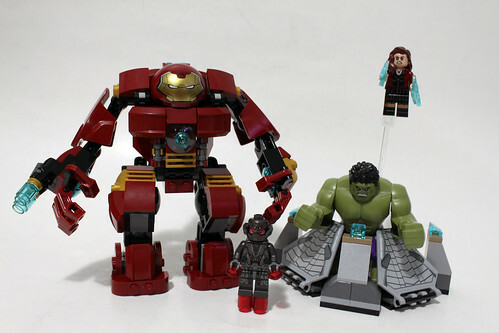 With The Hulk Buster Smash, you get four minifigures. First is the Iron Man MK 43 suit. 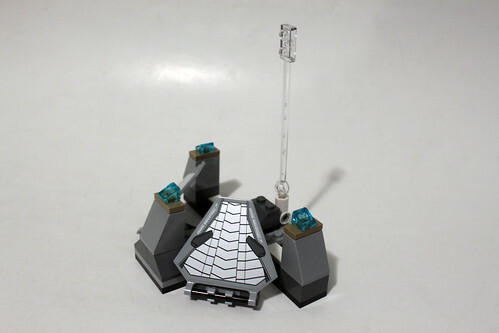 We’ve seen him before in the Attack on Avengers Tower (76038) set. He has your usual gold printing on front and back of the red suit. The helmet piece has been used many times before but this version has some prominent black outlining. 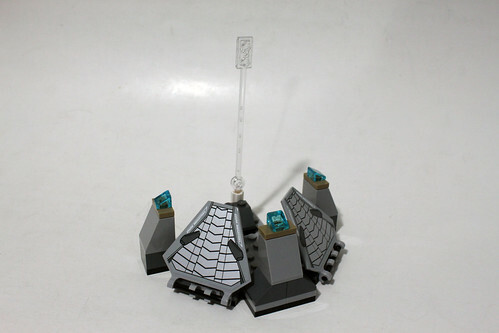 The accessories included are some trans-blue studs and round bricks for the thrusters. Next up is Scarlet Witch. 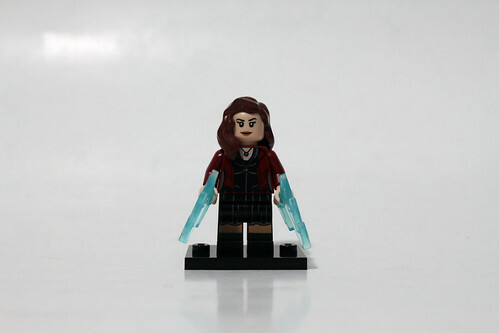 Her real name is Wanda Maximoff and she is the twin sister of Quicksilver who we saw in our previous review of The Hydra Fortress Smash (76041). She was also seen in the post-credit scene from Captain America: The Winter Soldier where she experimented on by Baron von Strucker using the Chitauri Scepter which unlocked her psionic powers. She wears a black dress with a red jacket over it. She has a double-sided head with a normal expression on one side and and angry expression on the other. She also has a couple of lightning pieces for her accessories to represent her Hex Bolts but I’m not sure why they are trans-blue instead of trans-red since her powers are mostly of the red variety. Scarlet Witch is exclusive to this set. 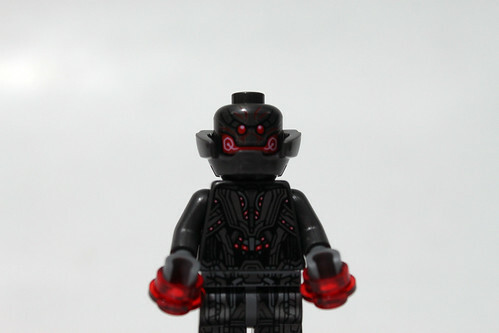 We finally get a minifigure of the main villain of the movie in Ultron Prime. This version of Ultron is an upgraded version from the MK 1 that we saw in in the Attack on Avengers Tower set. In the comics, this Ultron Prime was comprised of adamantium but in the Marvel Cinematic Universe, he will probably be created with vibranium. 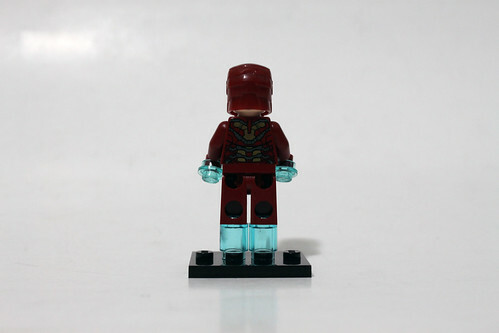 The minifigure itself is mostly grey with robotic printing on both sides of the torso and legs. 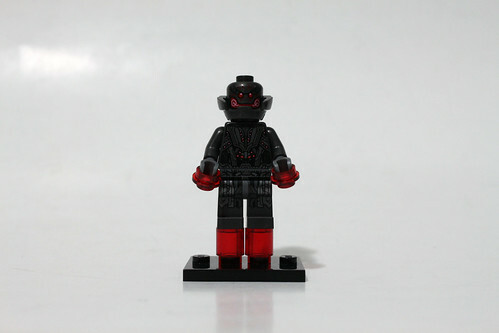 The head also has a very robotic look with some red eyes and mouth. There is also some a neck brace piece between the head and torso. 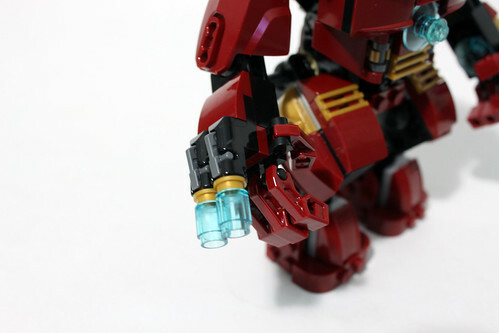 Ultron Prime’s accessories include some trans-red studs and round bricks to represent thrusters. 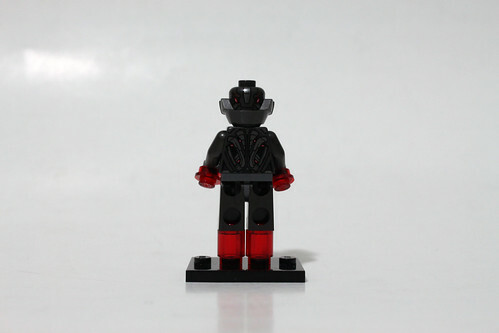 This version of Ultron is also exclusive to this set. 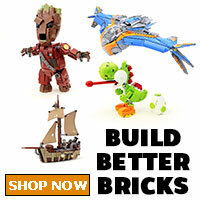 Finally, we have the Hulk bigfig. 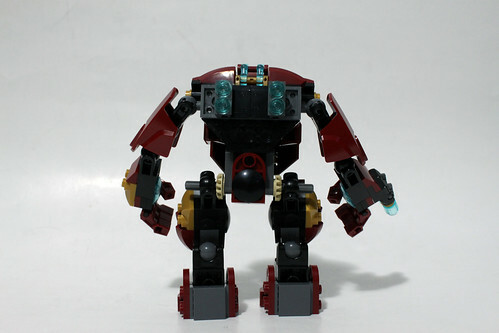 He’s the same figure as in The Hydra Fortress Smash (76041). 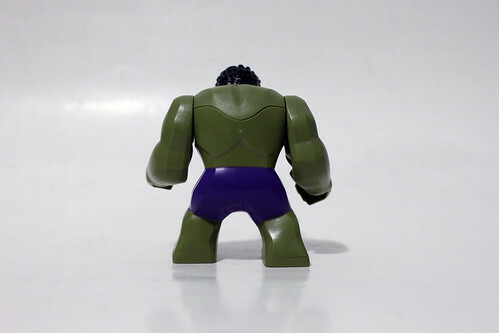 He now has an olive green skin color with purple pants that also have the Avengers insignia on the right thigh area. His feet has some printing for his toes. 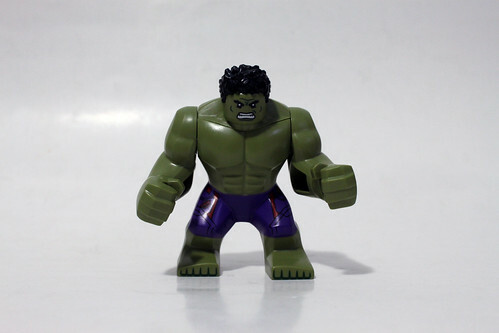 The Hulk’s hair is now a more messy looking one instead of a flat one like in the previous versions of him. There are two parts to the build, the containment area for the Hulk and the Hulk Buster suit itself. For the containment area, it is just a little stand that the Hulk is in for some reason. Note there are two stickers that has the Stark Industries logo on it. 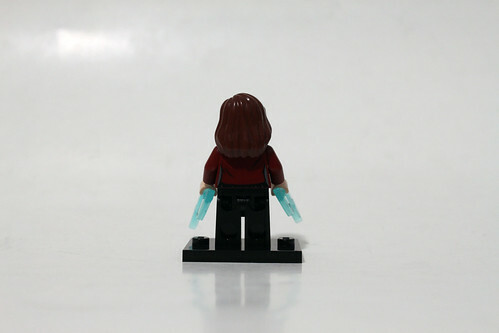 On the back is a clear stand piece that you can attach Scarlet Witch to so it looks like that she is flying. The play feature here is to use the Super Jumper to launch Iron Man at her to knock her down. Obviously, we won’t be showing that because of the problems with the Super Jumper piece. This part of the set is fairly mediocre but may be an indication of what will be happening in the movie which I’ll talk about in the results later on. 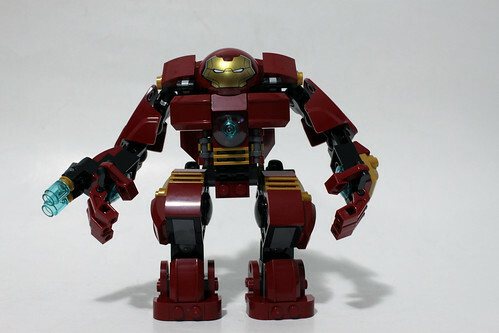 The main draw of the set is the Hulk Buster suit. 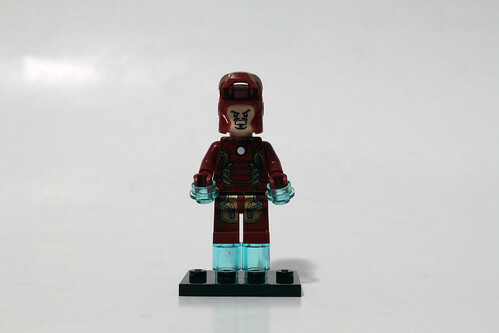 Although it isn’t named anywhere in the set description, the suit is actually MK 44. 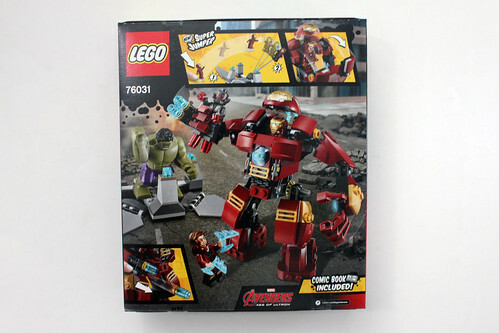 For many fans who have been waiting for a LEGO version of the Hulk Buster suit, we now get a brick-built version. 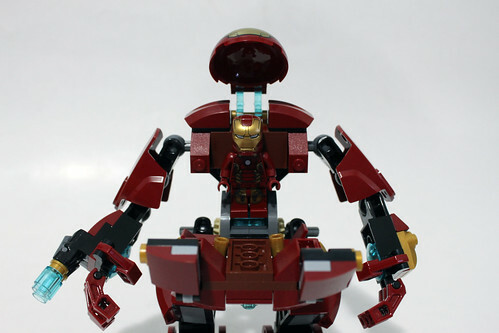 It is almost full articulated with the arms and legs being posable in many positions. The fingers are also articulated so it can grab Ultron Prime. The right arm has two stud shooters that shoots some rockets. 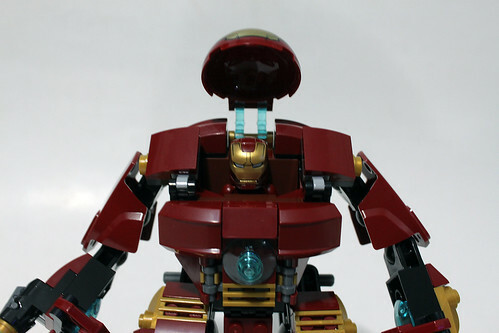 The chest area can be opened up to put Iron Man inside the suit. 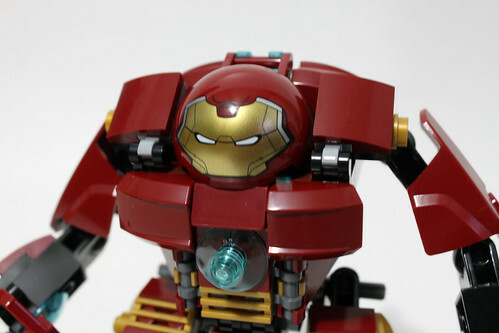 I do appreciate that the Hulk Buster’s head is a printed dome piece and not a sticker. The back has a couple of boosters but that’s pretty much it. This brings us to one of the two downsides of the set. For one, the back is too open and flat. I feel that it could’ve been rounded out a little more so the torso area could be more proportional. 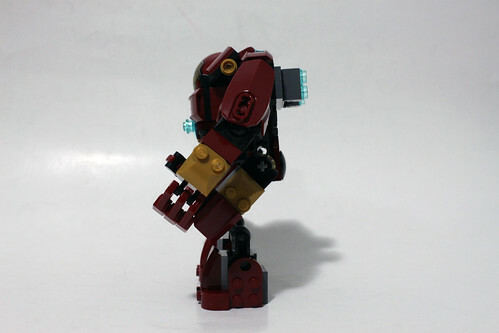 The other problem with the set is how the legs attach to the hip area. 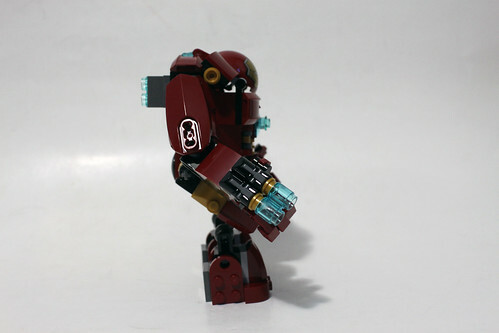 There’s no piece to hold the legs on so when you are posing it, it may slip out of position a little. 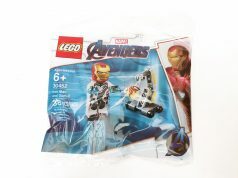 Overall even with the few minor issues I have with with The Hulk Buster Smash (76031) set, it is still probably my second favorite set of the Age of Ultron wave. 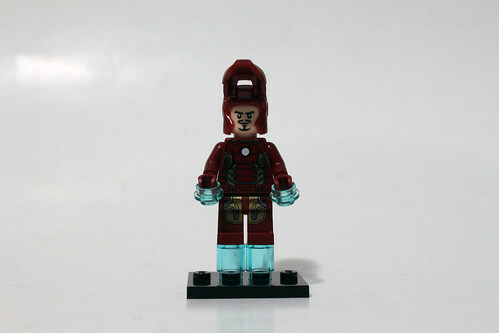 I do like the general look of the Hulk Buster suit including the new printed head piece for it. 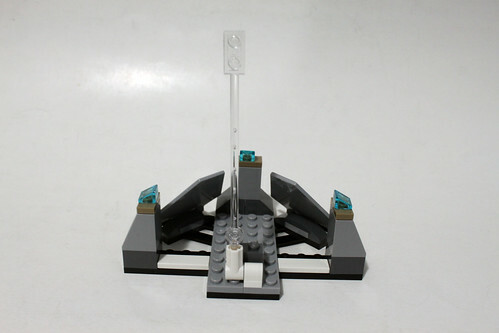 Another draw of the set are the minifigures that are included. 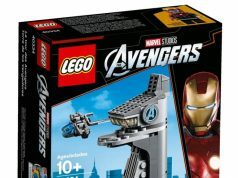 Both Scarlet Witch and Ultron Prime will only appear in this particular wave of sets. The set may give some spoilers of what will happen in the Avengers: Age of Ultron movie that will be coming out in a few months. 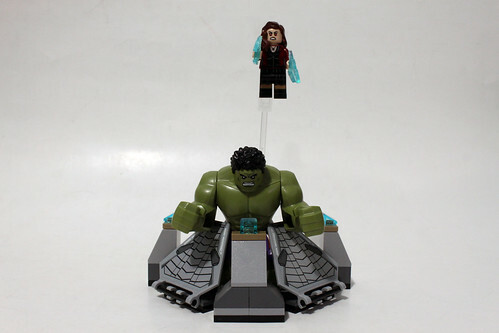 The set description states that the Hulk is captured and it Iron Man is coming to rescue him. If you watched the trailer, you would see that Iron Man is fighting against the Hulk. 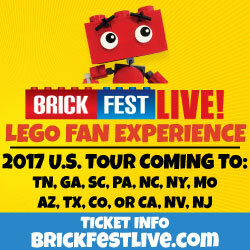 That part of the movie probably takes place after this set happens. 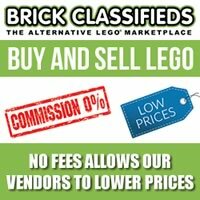 The Hulk Buster Smash (76031) will be available at LEGO Stores and on [email protected] on March 1st along with the other sets in the wave. I do recommend picking the set up when it becomes available in a few days.